The Flavor-Color Connection: do we taste cigars with our eyes? Dbl Claro: does this REALLY taste like grass? To Cigar Geeks like us, browsing cigar catalogs can be a lot of fun. With full-color photos of glistening cigars and text that can make your mouth water, even run-of-the-mill cigars can seem desirable. Using phrases like “nestled in Cuban-seed binders”…and “informed by complex notes of dried cherry, coffee bean, cocoa bean, spice and a sweet finish”1, these cigars can be very hard to resist. But can any cigar truly live up to this kind of hype? Can it really have so many flavors? There is no doubt that wrapper leaf adds a ton of flavor to a cigar. All of us have experienced the dissonant flavor of a stick that is almost extinguished, with only the center of the cigar still lit. Without the wrapper burning, the cigar has little or no character. And it is certainly true that different wrapper types contribute drastically different flavors to the cigars they adorn. What exactly those flavors are is completely subjective and no two of us will have the same take on even the same cigar. I recently reflected on this subject and wondered if cigars truly tasted like chocolate, caramel, nutmeg, licorice, etc? 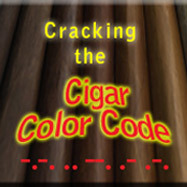 Cracking the Cigar Color Code. I’ve been a critical cigar smoker for many years and to me cigars taste like…well…cigars. But I understand why cigar flavor is expressed in terms relating to spices and delicious foods. I often pick up subtle flavor variances that hint at such things, and with a bit of imagination can extrapolate that into a full-blown flavor comparison. 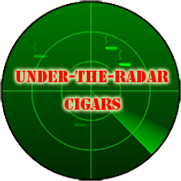 By reading lots of cigar reviews I’ve observed some common terms reviewers use when describing similarly colored cigars. In doing so I’ve picked up a set of comparisons that are akin to code words for describing elements of a cigar’s flavor profile. No, cigars don’t literally taste like caramel (unless they are flavored), but the word caramel, for example, has come to represent a particular flavor component associated with light-tan colored cigars. The same is true for other cigar flavor descriptions: i.e. dark brown-colored cigars are often described as being “earthy”, or having espresso “tones”. The number of such comparisons is limited only by the reviewer’s imagination yet I often agree with these taste comparisons. But how much of what we taste is influenced by how a cigar looks? Do cigars that have espresso or caramel coloring truly have those flavors? I wonder if we cigar smokers would describe cigar flavors differently if we were blind. Cigars are classified into seven color varieties. Kermit the Frog would love this cigar! The Double Claro is often described has having a “grassy” or “sweet” flavor. To me these things taste sort of milky; not an appealing flavor for a cigar. The odd thing is that in America in the 1960s, these cigars were all the rage. So much so that the cigar industry called them American Market Selection (AMS). Back then even the popular TV sleuth Columbo smoked one. But past popularity aside, could the Double Claro’s green color be suggesting its grassy flavor? From here on down the Cigar Rainbow, all cigar wrappers are fermented. Fermentation is where the artistry of cigar making begins and where experience and tradition come into play. With methods handed down from generation to generation, cigar fermentation is what sets one cigar maker apart from another. Without fermentation, cigars would taste more like giant cigarettes. It is how richness and character are infused into the tobacco, and where normally harsh elements are transformed into creamy smoothness. The amount of fermentation needed can depend on the thickness of the tobacco leaves. The more a leaf is fermented, the darker it will get. That’s why as a wrapper gets darker in color, it will also be thicker and more coarse in texture. The need for different cigar wrappers is merely a matter of variety, and the industry’s desire for new cigar flavors and product. 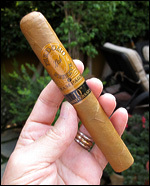 The current, younger generation of cigar makers has excelled in producing cigars of unprecedented flavor and variety. With new growing and fermentation techniques, this trend of innovation promises to continue for years to come. (Sidebar – In Cuba, most of the cigars are of relatively similar color, and it wasn’t until just a few years ago that the Cuban cigar industry produced its first Maduro wrapper). But what makes some tobacco leaves thicker than others? That is all about the Sun: the more Sun a leaf gets, the thicker it will become. 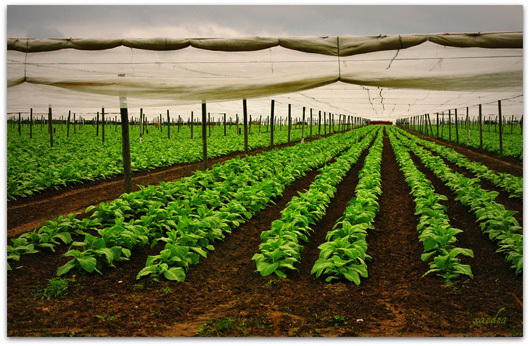 In order to get leaves thin enough to wrap around a cigar, wrapper tobacco is commonly grown in the shade. Know as Shade Grown, these leaves are from plants grown under cheesecloth tents that protect them from direct sunlight. Delicate in flavor and texture, the leaves from these plants adorn the more mild cigars and are know for their wonderful aroma and golden color. Ladies and Gentlemen, may I introduce the next shade in the Cigar Rainbow: Claro. Connecticut shade-grown wrapper. Photo courtesy of Xandra Messina. Click to enlarge. Perdomo Champagne. One classy Claro. The delicate shade-grown leaves of Claro cigars have an unmistakable taste and aroma. Often described as having tones of caramel, nuts, cappuccino, and almonds, it’s easy to see why these cigars are recommended to first time cigar smokers. But could its golden-tan color be suggesting such flavors? LFD Coronado. One great colorado cigar! Colorado: et al: Now let’s jump to the middle of the cigar rainbow. The Colorado wrapper, with its reddish color, is a particular favorite of mine. It has a ton of flavor and high complexity. Where the darker cigars can have bitter overtones, the lighter wrappers can be a bit too mild. The Colorado wrapper can burst with natural flavors (more about that later) and still retain the richness of well-fermented tobacco. Plus that wonderful Colorado color makes these cigars some of the most beautiful. Although generally shade grown, Colorado wrapper is thicker than Claro and will deliver a heartier, more potent punch than the Claro. The thicker leaves are the result of more sunlight exposure. This is usually the result of its priming. 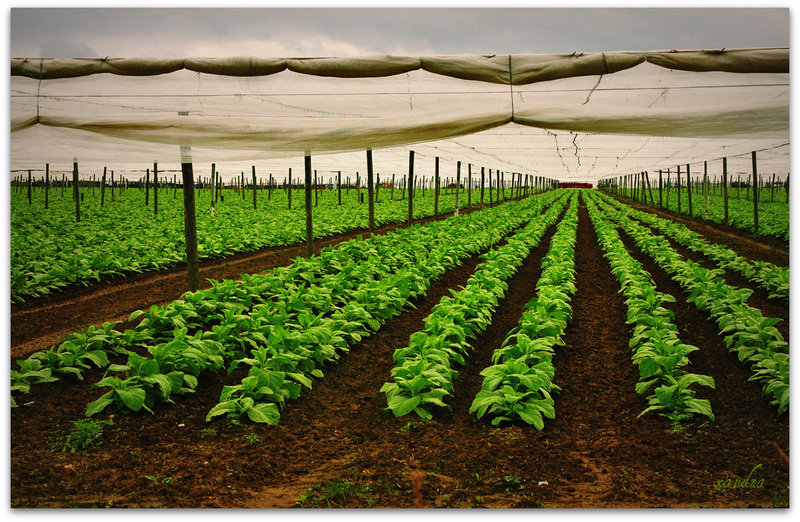 Priming is the order in which the leaves are harvested from the tobacco plant. Cigar tobacco leaves are harvested from the bottom up over a six-week period. The leaves near the top (corona) are harvested last, allowing them to get more sunlight. Again, color and flavor seem to have a connection. Colorado cigars are commonly described as having tones of cedar, leather, toffee, and wood. A pattern seems to be emerging. Skull and Bones. Now THAT’S oscuro! Maduro and Oscuro: On the opposite end of the Cigar Rainbow are the Maduro and Oscuro4 wrappers. Unlike the Candela, these leaves get a lot of the manufacturers’ attention. Making wrapper leaves dark requires extra fermentation. This is a process similar to composting and only the thicker leaves can survive this decomposition. The current trend towards ever-stronger cigars requires the use of the thick, uppermost priming of the tobacco plant. These leaves, called Ligero, get the most sun and are big on flavor and strength. And it was only until recently that new fermentation techniques have enabled cigar makers to use Ligero as wrapper. It’s not coincidence that many of the new stronger cigars are dark in color. But not all dark cigars have Ligero wrappers. More traditional Maduro cigars simply have Sun-Grown (or Broadleaf) wrappers that have had extra fermentation. In some cases Maduro cigars are relatively mild. This is possible when a lower priming leaf is used, resulting in a dark cigar with less nicotine. 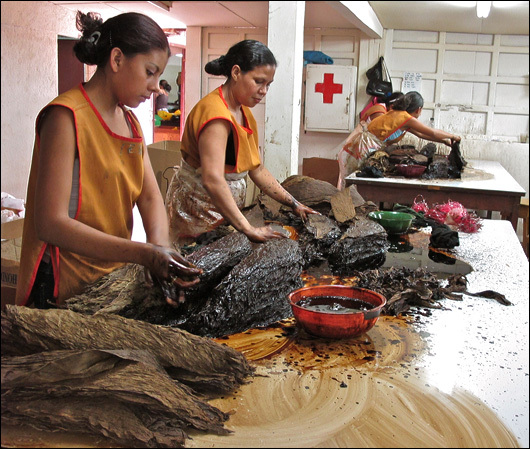 During the Cigar Boom of the 1990s, to simulate the Maduro process, some unscrupulous cigar makers would literally paint inferior, under-fermented tobacco leaves. Although black in color, these “fake” maduros were notoriously horrible cigars that left the smoker with discolored fingers and lips. Yet today, painting cigars is not uncommon. This may shock some readers, but many reputable cigar makers will apply a solution of tobacco juice when making Maduro wrapper. This is done to “even out its color” and not as a substitute for proper fermentation. This process is totally sanctioned by the cigar industry. In some cases natural flavorings are added to the solution. This is a process learned in Cuba and the solution is referred to as betume. But cigar makers won’t acknowledge this practice. Much like a magician will not give up his/her secrets, the cigar industry doesn’t want to let this rabbit out of its hat. Natural tobacco juice is sometimes applied to wrapper for color. The extra fermentation and use of betume or other catalysts will give Maduro and Oscuro cigars some very profound flavors. We cigar smokers often refer to dark colored cigars has tasting like espresso, dark chocolate, or even licorice…are we tasting with our eyes? Cigar smoking is a very personal experience. We collect the ones we like and avoid the ones we don’t, even when others seem to love them. But the degree to which our taste is influenced by cigar color may in the end, be totally irrelevant. Embellishment has its place in describing our experiences and all of us are guilty of this. 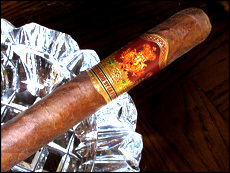 We smokers love to talk about the cigars we enjoy, and creative license is a big part of this expression. Being creative is human nature and it adds color to everything we experience. It increases our enjoyment of the things we do and cigar smoking is something we do a lot. So let’s continue to let our minds run wild while we enjoy our cigars and attribute whatever flavors we like to our favorite cigar brands. If you taste chocolate in a dark brown cigar then chocolate it is! If a tan cigar tastes like caramel, then more power to ya! It’s all just a big celebration of the passion that is cigar smoking. 1 Quote from a prominent cigar catalog. 2 Here is what the official La Casa Del Habanos website says about cigar wrapper flavor. 3 The Candela may have been the result of an accident in Cuba in the 1940s. Read more in this Cigaraficionado.com article. 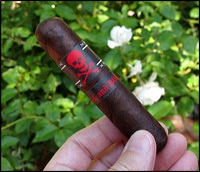 4 In Spanish Maduro means “ripe”, and Oscuro means “dark”. I have fond memories of smoking Dbl. Claros back in the mid to late seventies, In some of the shops I frequented ( Old Town Chicago ) it was kinda odd seeing a brown-ish cigar in the humidor or display case. I recall seeing more than one lit up @ a resturant by what looked like a Big shot boss of some sort to me at the time after lunch. The flavor/s -Aromas that come to mind is earthy like being in the woods in spring,Peat comes to mind too. I like the Puros Indios version when I want a milder smoke. I sampled the Iguanas and find them a bit too mild for me. I gotta say this was some good reading and the CA write up wasn’t too bad either,Do you happen to know what brand/s Colombo smoked and W.C.Feilds ? I did the google thing and only got less knowlage that I all ready have. I don’t know what brand Columbo smoked. Maybe one of our readers can tell us. Thanks for your comment. Peter Falk wasn’t really into cigars (http://www.columbo-site.freeuk.com/talk.htm) and apparently just smoked whatever was handy when the show was taping. what the heck is that Morse code supposed to mean? No spaces, that I can tell, but even imagining spaces in various places it’s hard to make that say anything. If you were aiming for “CIGAR” it would be -.-. .. –. .- .-. LOL!!! It’s great that you tried to figure out “the code”. Actually, those were random dots and dashes and meant to represent a code, not actually BE code. But since you took the initiative to figure this out, I’ve changed the code to spell the word cigar. That’s was a good suggestion. Thanks. Repeating patterns and brevity were the soul of wit in morse code. While I would have to completely agree with your assessment of candela, I do believe I have found an exception: Illusione’s candela wrappers being used at the Raices Cubanas factory in Honduras are EXQUISITE. If you get the chance, you should definitely try out an HL with said wrapper. Simply amazing! That’s a good question, James. I think it might be because Cuban cigars are primarily all made from the same tobaccos. They don’t offer a variety of wrappers and hence, don’t see how much they affect the cigar’s flavor. NCs offer cigars with wrappers from all over the world, each with its own flavor component. Cuba, being such a closed society, doesn’t participate in the wealth of global resources. It’s a shame. Imagine how great a Cuban cigar would taste with a wrapper grown in Nicaragua!